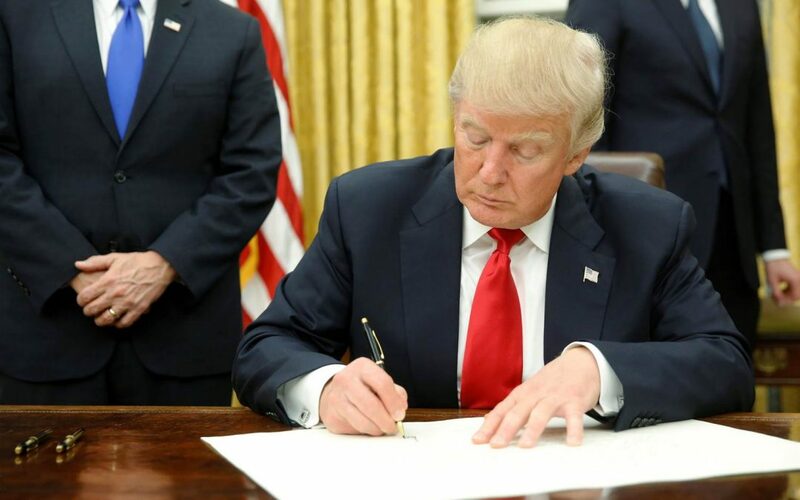 Declaring that “the regulatory process in this country has become a tangled up mess,” President Donald Trump Jan. 24 signed five executive orders to advance stalled pipeline projects and streamline the environmental review process for other major infrastructure work. Two of the orders are aimed at ARTBA-supported pipeline projects—Dakota Access and Keystone XL—that were stalled during the Obama administration. Now, the U.S. Army Corps of Engineers must expedite approval of an easement necessary for Dakota construction, while inviting the Trans Canada Corporation to resubmit their application for Keystone. A third order directs all pipeline projects in the U.S. to use domestically-produced steel and iron products to the maximum extent possible. Trump said the orders are designed to help eliminate a “cumbersome, long, horrible permitting process.” Read the orders: American pipelines; Dakota pipeline; Keystone pipeline; Priority infrastructure; and Manufacturing.